For a casual getup, team a light blue long sleeve shirt with white chinos — these items work pretty good together. A pair of Magnanni Vareno Sneaker instantly ups the street cred of your getup. 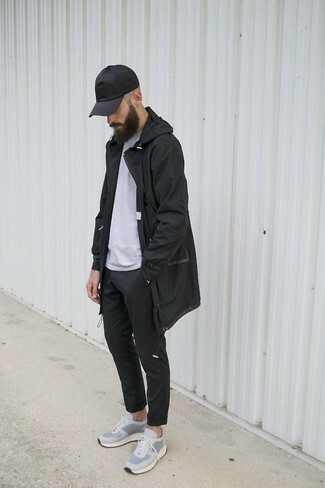 This relaxed casual combo of a black parka and black sweatpants is a life saver when you need to look stylish but have no extra time to plan an ensemble. 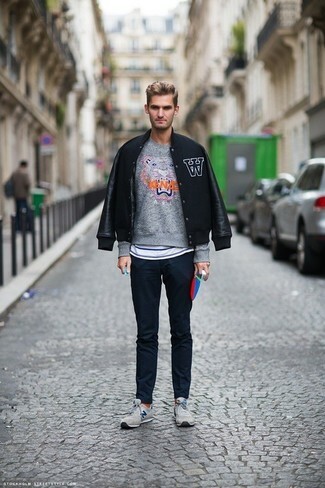 A pair of grey low top sneakers easily levels up any outfit. 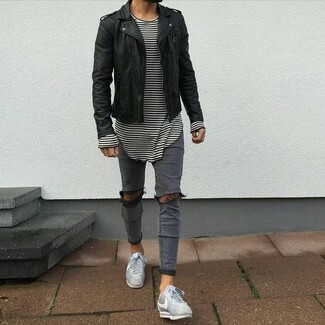 Why not team a black leather biker jacket with grey ripped skinny jeans? As well as super practical, these items look cool when worn together. Ramp up the cool of your look by rocking grey low top sneakers. 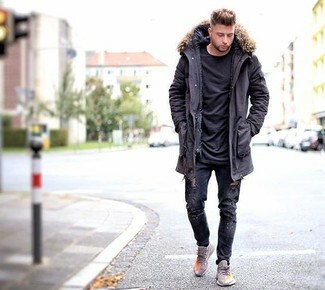 A black parka and black ripped jeans are must-have menswear items, without which our menswear collections would definitely be incomplete. Rev up the classiness of this outfit a bit by finishing off with a pair of Magnanni Vareno Sneaker. 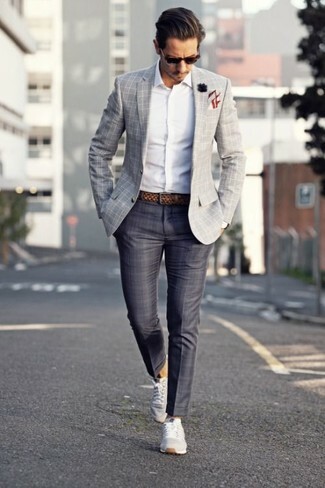 Consider wearing a grey plaid blazer and charcoal plaid dress pants to look modern and classic. 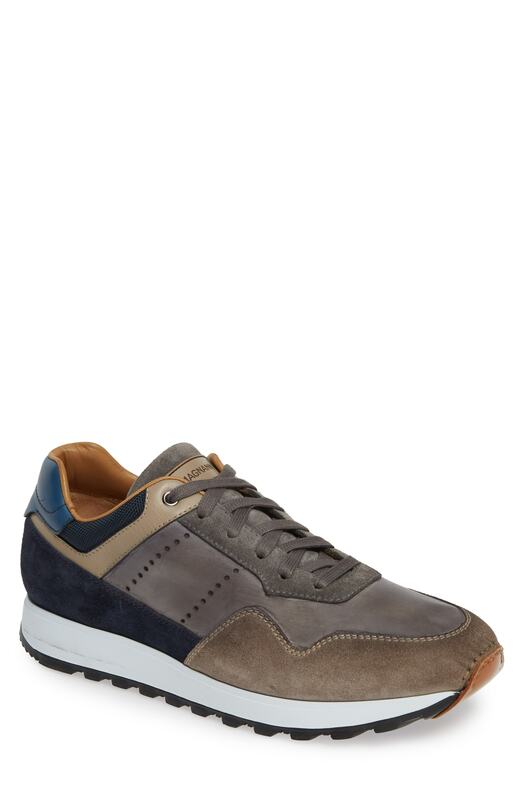 And if you wish to easily play down your ensemble with a pair of shoes, add Magnanni Vareno Sneaker to your getup. 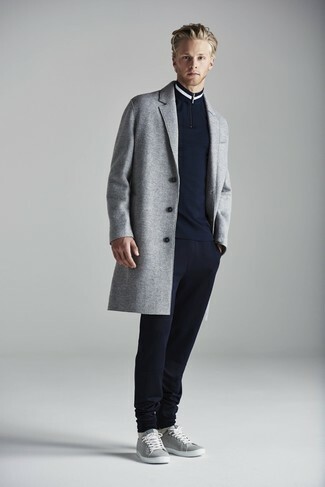 This pairing of a grey overcoat and navy sweatpants embodies comfort without compromising style. Get a little creative on the shoe front and complement your ensemble with Magnanni Vareno Sneaker. If you gravitate towards casual style, why not wear this combo of a grey zip sweater and black chinos? Let your outfit coordination credentials really shine by rounding off this ensemble with Magnanni Vareno Sneaker from Nordstrom. For a casual menswear style with a modern twist, consider pairing a black bomber jacket with navy chinos. Feeling adventerous? Dress down your ensemble by slipping into a pair of Magnanni grey low top sneakers. This is solid proof that a white and blue crew-neck t-shirt and blue chinos look awesome if you wear them together in a relaxed getup. This outfit is completed wonderfully with Magnanni Vareno Sneaker.